Coming in at a staggering <1.25 Watts the Spyder III Arctic delivers an amazing amount of power in a refined package and at a very cheap price. Laser aficionados and hobbyists listen close as this is one laser that you MUST own in your collection. Wicked Lasers radically redefines the way we see lasers yet again. Blue diodes was originally invented by the world-renowned genius, Shuji Nakamura over 10 years ago. However, blue direct blue laser diodes have just now become available in the consumer market. Wicked Lasers has created partnerships with the world’s leading blue diode manufacturers to create the world’s first 445nm direct blue diode portable laser, the Arctic. The Arctic emits a 445nm cool blue, ultra high power 1W beam which appears up to 4000% brighter than the Sonar’s 405nm violet beam. This direct blue laser diode is the result of the evolution of laser technology. Less than one year ago, this laser would have cost thousands of dollars to build. 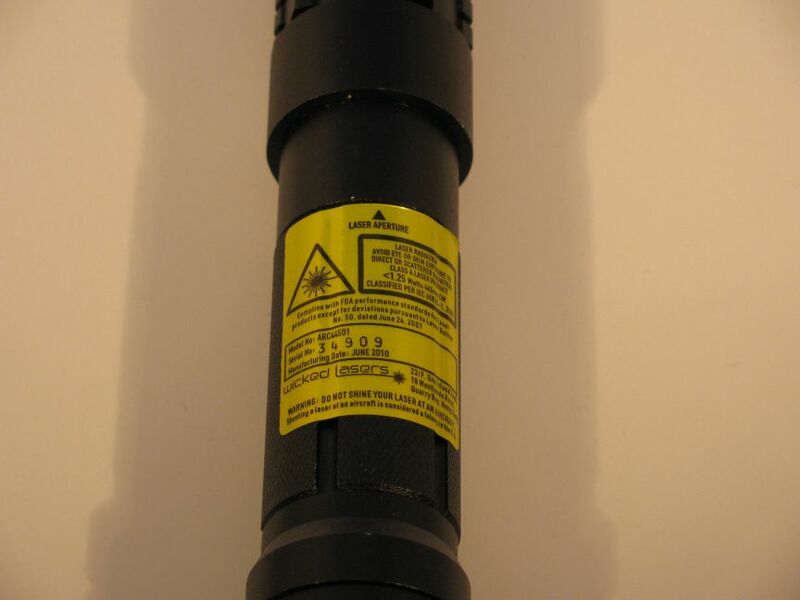 Don’t let the Arctic name fool you, this laser possesses the most burning capabilities of any portable laser in existence. That’s why it’s also the most dangerous laser ever created. 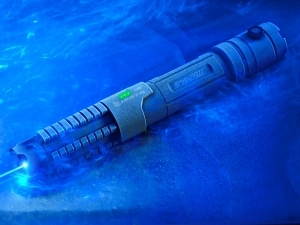 In recognizing and mastering the power of direct blue diodes, the Wicked Lasers’ Arctic shall become the standard by which all other blue lasers are judged. The new Arctic makes history with the addition of an electronic SmartSwitch™. The ergonomically positioned SmartSwitch™ makes the laser over 100 times safer to handle and enables 6 long-awaited features. As an additional safety precaution, each Arctic comes with a removable training lenses and standard lenses. The removable training lenses allows our users to initially start out using the Arctic but at a fraction of its maximum output power. Replace the training lenses with the included standard lenses for maximum power. We will take a look at the Spyder III Arctic power, design, and functionality in this review and bring you our analysis of this product. We show you why the Arctic is awarded our Editors Choice Award and where some of its flaws can be fixed. The specifications above with some exceptions apply to the G1 version which we have in this review. The modes listed in the table above only apply to the G2 version as our G1 operates only in on or off states. Also noteworthy is the listed output power of <1W while the label on our G1 lists <1.25W, this could apply to the random peak output at power on but lasers tend to get more powerful when they warm up as opposed to cold starts. Lets take an in depth look at the Spyder III Arctic now.